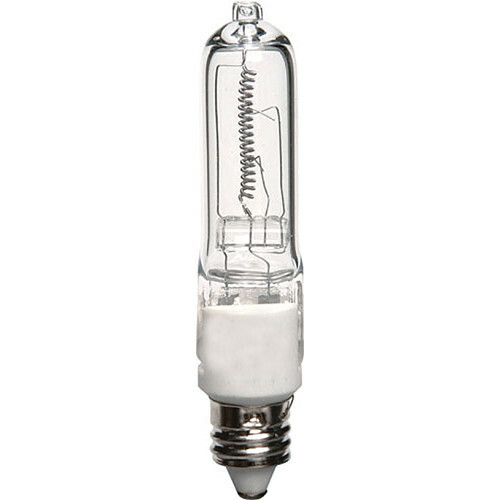 Light up your set with this 250W/120V EHT Lamp from General Electric. This tungsten-halogen light source has an E11 Mini-Candelabra screw-in base, a color temperature of 2950K, an output of 5000 lumens, and an average life of 2000 hours. It is commonly used for display and photo fixtures. EHT Q250CL/MC Lamp (250W/120V) is rated 5.0 out of 5 by 1. Rated 5 out of 5 by Photographer from Great light This light is as expected, it works.